Abasólo 650, Centro, San Luís Potosí, S.L.P.. 78000. 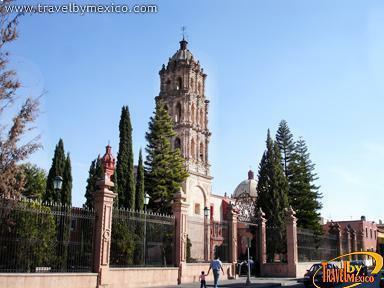 The current Templo de San Agustin belonged to the Augustinian Order, who came to San Luis Potosi in 1599 with Fray Pedro de Castroverde. 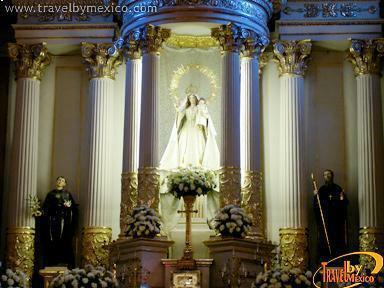 It was initially built as a place to accommodate the priests of the order, with a chapel. 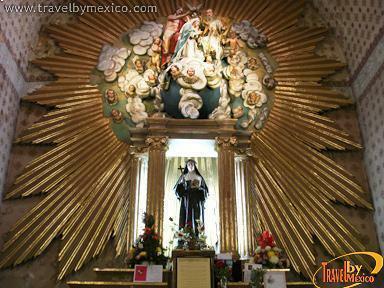 The convent was built in 1615, while at the same time the church and some of the atrium were used as spaces for the Spanish children’s education. During the time of the Reform Laws, part of the convent was destroyed. 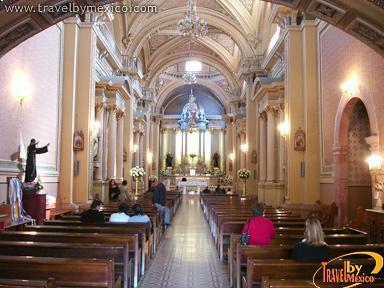 Inside, there are some striking details, such as the sacristy door and a sink of Churrigueresque style. At night, the beautiful main tower, built in Baroque style during the 18th century, shines with the illumination of lights that highlight it. Large industrial and commercial city. Silent Procession during Easter Holy Week. 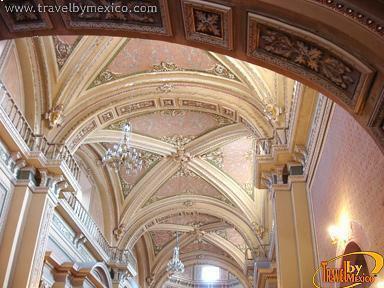 Historical Center filled with beautiful churches, culture and entertainment, parks, malls. Regional Museums of the Mask and of the Railroad. Ecotourism in the surrounding Tangamanga I Park, springs, spas, glens.